I’ve taken a nice break (and had fun holiday gatherings with various friend and family groups, plus a fantastic trip to Ireland with family) and am ready to jump back into my blog. First—the awards. It’s that time of the year when various groups look back over 2009 and try to choose the best in a variety of categories. Of course I always comb the lists for any POETRY entries. 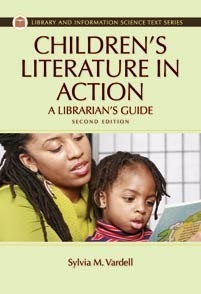 You can be sure I’ll be tooting the poetry horn next week after the American Library Association announces its awards. In fact, I’m on my way to Boston for their conference later today! Martin Jr., Bill with Sampson, Michael, 2009. The Bill Martin Jr Big Book of Poetry. ill. by varied. New York, Simon and Schuster. 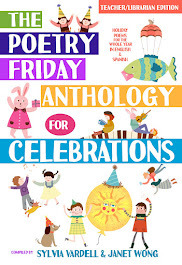 With wonderfully-varied art from an impressive array of illustrators, BILL MARTIN JR’S BIG BOOK OF POETRY is the modern must-have poetry anthology for children’s bookshelves. The poetry is grouped thematically (Animals, Nature, Me and My Feelings, Mother Goose, among others), but is just as easily enjoyed by skipping from page to page, backwards and forwards, being surprised by new favorites and reveling in the comfort of those perfect old standbys. 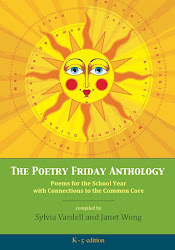 For parents and children alike, this is the way to fall in love with poetry. Katz, Bobbi. 2009. The Monsterologist; A Memoir in Rhyme. New York: Sterling. In a collection of somewhere between 23 and 28 poems (depending on whether you count some things as independent poems or as part of a greater whole), Bobbi Katz has created a playful, interesting and clever exploration of the world of monsters that range from the real (a computer virus) to the imaginary (zombies, vampires) to the in-betweenities (ghosts, the yeti, the Loch Ness monster) that may or may not be real. The individual poems about monsters are imaginatively framed with additional rhymes from the Monsterologist to whom the book is credited, Katz being only a "ghostwriter" per the cover. Katz provided poems about some of the more "traditional" monsters (werewolf, ghosts, Count Dracula, Godzilla, and Frankenstein's monster, for instance), but she also includes lesser-known varieties, such as Grendel (from Beowulf), the golem, Bluebeard and the kraken. 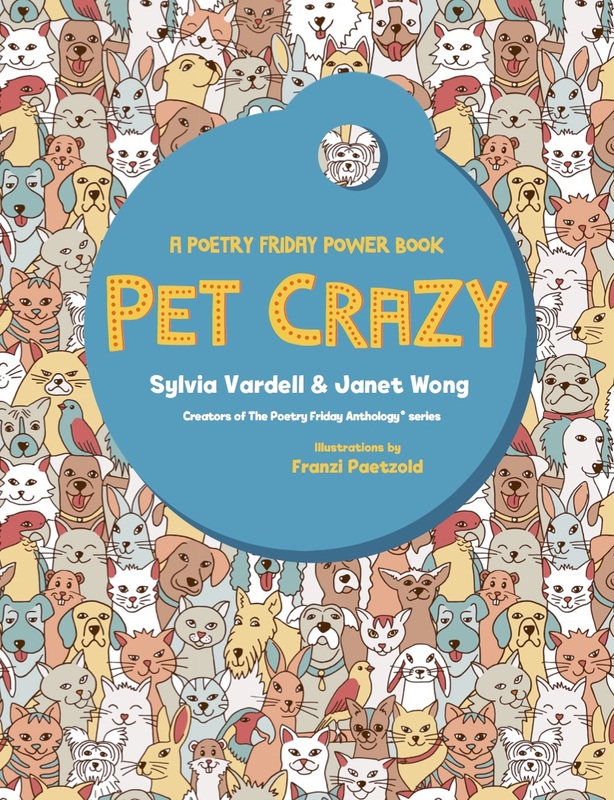 Fresh, engaging, and fun, these poems will have you coming back time and again to study the monsters inside; it will have you thinking of monsters in new ways and hoping to meet – or become – a monsterologist. Sidman, Joyce. 2009. Red Sings From Treetops; A Year in Colors. Ill. by Pamela Zagarenski. Boston: Houghton Mifflin. 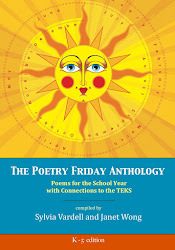 Sidman personifies the seasons of the year focusing on colors and color words in elegant, evocative poetry. 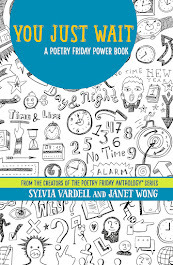 Strong in imagery and sensory connections, the free verse poems capture unexpected color connections (the pink of winter) using multiple metaphors and color labels (turquoise, azure, cerulean). Zagarenski’s stylized art as well as clever book design (with color words in colors) add dimension and appeal. Harley, Avis. 2009. African Acrostics; A Word in Edgeways. Ill. by Deborah Noyes. Cambridge, MA: Candlewick. 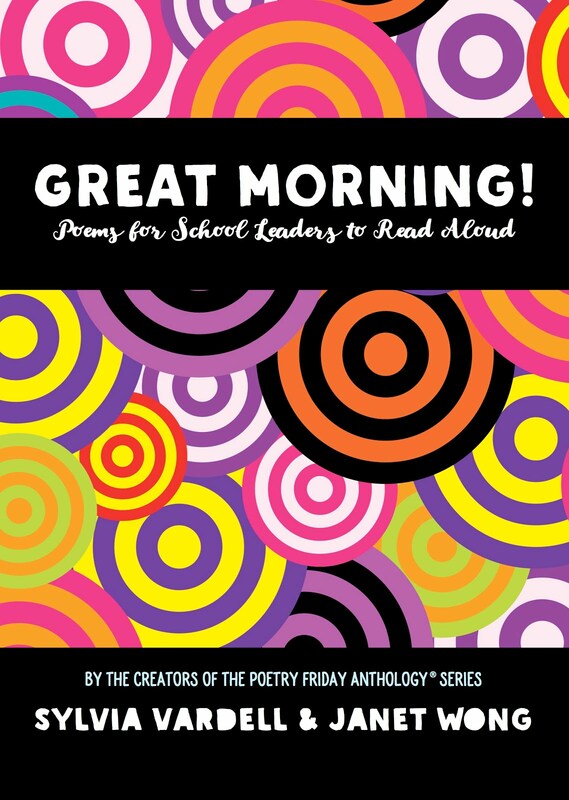 In this collection of 18 poems, each accompanied by a gorgeous photograph of the subject, Harley takes the form of the acrostic to new heights. 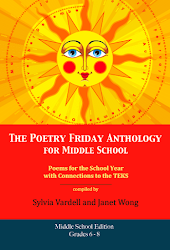 The poems are deftly created and move well beyond the single-word acrostic to include phrases, double acrostics, quintuple acrostic (yes, that's FIVE words), concrete acrostic and more. The patterns that exist within each piece never get in the way of the poem itself, and finding them is a wonderful surprise. When you finish this book you’ll have a new appreciation for the form that uses "words in edgeways." Hoberman, Mary Ann and Winston, Linda. 2009. The Tree That Time Built; A Celebration of Nature, Science, and Imagination. Naperville, IL: Sourcebooks. In much the same way naturalists go about collecting things, Mary Ann Hoberman and Linda Winston have selected more than 100 poems in The Tree That Time Built to celebrate nature, science, and imagination. "Science and art have often been cast as opposites, but the division is an artificial one," they write in the introduction. "Scientists, like poets, depend on imagination for many of their core insights. 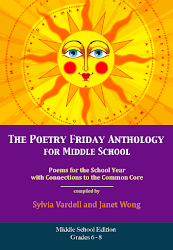 And poets, like scientists, observe and explore connections within the natural world." This collection is their ambitious attempt to explore these connections. 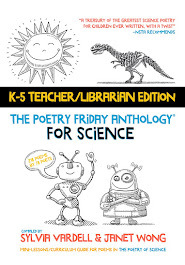 Hoberman, the U.S. Children's Poet Laureate, and Winston, a cultural anthropologist and teacher, have taken great care to arrange the poems to give young readers a chance to explore many of the "roots and limbs of Darwin's Tree, the branching tree that shows the connections among all forms of life." 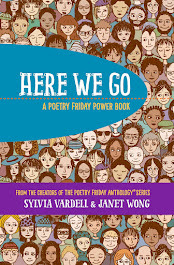 It's that rare collection of poems that will wake readers up-really capture their attention on every page -- and often startle readers (in good ways), helping them see some things -- rocks, sand, mountains, crickets, bees, and more -- that they've never seen before, even though they may have looked at them a million times. In short, The Tree That Time Built is a collection to treasure, the poems in its pages like shells that you hold in your hand and lift to your ear (again and again) to hear the mystery of life. FYI: Cybils is an acronym for the “Children’s and Young Adult Bloggers’ Literary Awards” and this is the fourth year the bloggers have gathered to choose the best books in several categories, including poetry. They’ll be announcing their #1 choice from our shortlist in the near future. In the mean time, for a comprehensive look at all the different award lists of the year, check out Susan’s “encyclopedia of awards” at Chicken Spaghetti. She calls it the big “list of lists” and I’m honored to be on it! Posting (not poem) by Sylvia M. Vardell © 2010. All rights reserved.